WELCOME TO THE ROTARY CLUB OF LAKEWOOD RANCH! Our club was chartered on April 20, 2001. Since that time we have grown from 26 members to over 80 members. At Rotary, we believe in the 4-Way Test. We are compassionate, generous, accomplished and we believe in "Service Above Self." We are a global organization bringing together 1.2 million Rotarians supporting humanitarian efforts around the world. Rotary accomplishes this through the actions of its members and their local connections to solve problems through district and global projects in six areas of focus. Which include promoting peace, fighting disease, providing for clean water, saving mothers and children, supporting education, and growing local economies. Our club embodies these ideals above in everything we do and we have a very rich and accomplished history to be proud of. Locally, through our efforts with the Suncoast Food and Winefest and Books for Kids, and Globally, through our efforts with Shelter Box USA and the many Global Clean Water Projects we support. We embody "Service Above Self" and strive to make a difference in the world. 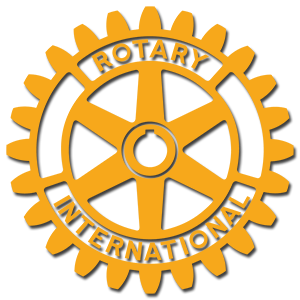 The Rotary Club of Lakewood Ranch is a group of professional and retired men and women who meet for lunch each week for fellowship and to discuss current local and international topics as well as various issues relevant to the practice and promotion of Rotary ideals in our business and personal lives. We are an amazing club and we can continue to accomplish great things with your help. By partnering with other Rotary clubs around the world, we have helped raise over $2 million for Global Clean Water Projects, providing sustainable clean water systems to thousands of families throughout Peru, Guatemala and The Philippines. 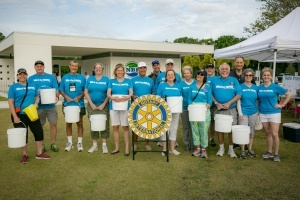 Thank you to all of our donors, sponsors, volunteers and walkers who participated in the 2019 Suncoast Walk for Water! Thank you to everyone who attended, sponsored, volunteered, and otherwise supported the 17th annual Suncoast Food & Wine Fest, our biggest fundraiser of the year. To date, we have awarded over $1.6 million in grants to non-profit agencies in Manatee and Sarasota counties, and other Rotary projects. Grants are available to 501(c)3 organizations or public education institutions. This year's grants will be awarded at our luncheon on March 14, 2019. The Books for Kids mission is to raise the reading levels of elementary school students by providing the school with specialized programs, providing books for kids and engaging parents or guardians in literacy based activities. Click here to learn more. MEMBERS ONLY - Check request form.